We are pleased to have VALET PARKING available to our patrons. 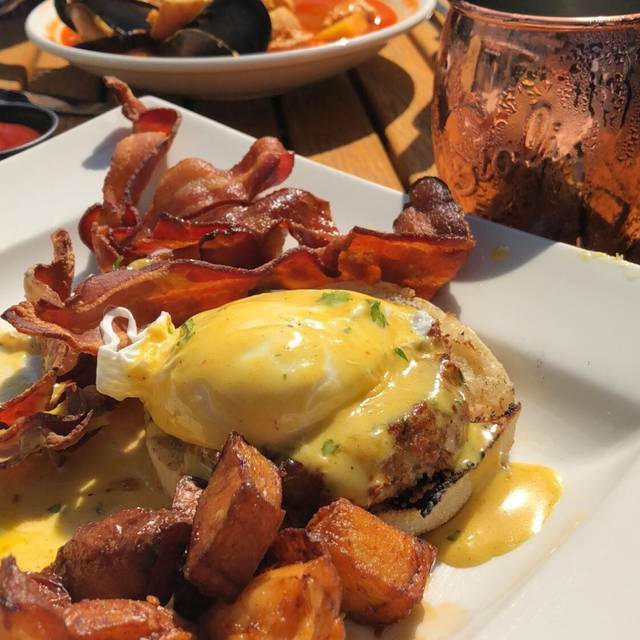 The valet is provided by VPNE Parking Solutions and is located in front of 250 Northern Ave.
teat your mother to a special brunch or dinner at 75!! Dad likes to be treated to a great brunch or dinner as well at 75 !! Food was good, the employees where way over worked so it reflected in their service and attitude, cannot expect wait persons to work 12 plus hours. 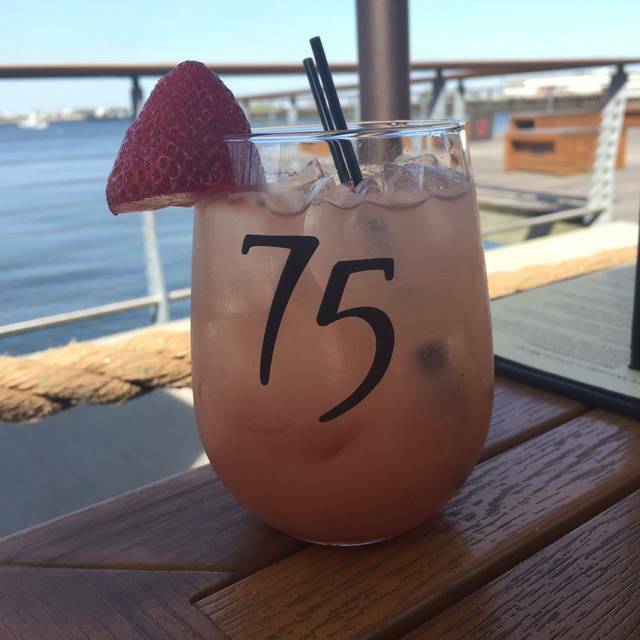 75 on Liberty Wharf is a great place to enjoy a meal or drink by the harbor. It’s a wonderful atmosphere, superb service, and is delicious. The views of the harbor are amazing, and it’s a comfortable size restaurant- thus it never feels too cramped. I enjoy my time going there, and recommend to anyone looking for a great waterfront restaurant experience. Great small place. Food atmosphere & service were great. Looks like its even better in the warm weather to sit outside right on the water. The menu is limited - but good variety & options for salads, fish & steak. Our waitress Lindsay was great. Very helpful and helped us sort through our options. Even picked our dessert which was awesome ! 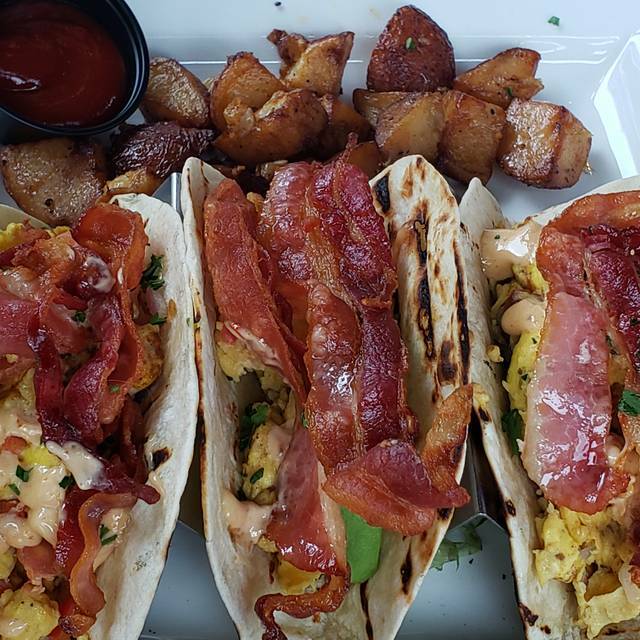 Nice tasting brunch food. Little touristy, cocktails are subpar including bloody. The view was wonderful. The lunch menu is limited. I would suggest adding a soup of the day created by the Chef. The food and service were excellent. The place is very small. Lovely ambiance. We enjoyed our meal and the service was great. Good wine list. Really attentive service and we loved the small, quiet setting. Great place to enjoy date night! Another great meal at 75 Liberty Wharf. The steak tips were delicious and I would highly recommend! Server was the best I’ve had in a long time. She made the dining experience. Waitress forgot our chowder course so entree’s arrived first. Disappointed but food was very good. Beautiful spot. Service was subpar, drinks were not made correctly, food was meh. It was real small. The prices were reasonable but the food quality was just as good, reasonable. Great location, good food and service. Food was delicious and server and staff were extremely accommodating and attentive! Made a blind reservation. One of the most peasant surprises of our trip to Boston. Great little spot, small but not too cramped. Service was great. Food good. Little something for everyone on menu. The appetizer tower is delicious but my mojito is not that good, I should have complain cuz I drink sooo much of mojito. This is place is not really for special occasion, very tiny place. Cozy restaurant with excellent food and service. Would definitely go again on a return trip to Boston. Love the water front setting, floor to ceiling windows all around, great food, and decent beer selection. It's my go-to for lunch with colleagues. Me and my gf went for an early Valentines day, even though the place is somewhat small. The place was a little busy, it took less than 10 minutes to be seated in which was a little bit on the downside. The ambiance, the "checking up" , the view, the service was outstanding. The price is a little above average but it is much better than the others restaurant me and gf been too, very flavorful. We love the view and come whenever we are heading to the ICA. However, I am vegan and there is little to choose from. Just a salad. My meat eating companions always find lots that looks good on the menu, but I wish they would add a vegan entree. Perfect evening all around. Great location, excellent service and food. Will definitely add it to our favorite places to hit on our next trip in! Cozy, tiny location with great views of the harbor. Not many tables so you should make a reservation prior to going. Menu wasn't overwhelming but lots of great choices. Cocktails were fabulous. Would recommend and definitely come back! Menu selection wasn't great. However, they did change out potatoes for rice and asparagus for brussel sprouts with my cod. Didnt like the taste of the cod...kind of burnt. Smaller than expected. Seating is quite close. Food was average- nothing special. “Make your own Blood Mary” Bar was just ok. They provide you w the glass of vodka, you add the juice from. 3 diff options, along w pickles, wilted celery, dry olives, horseradish, and a few other items. I like their original location on Charles St much better. 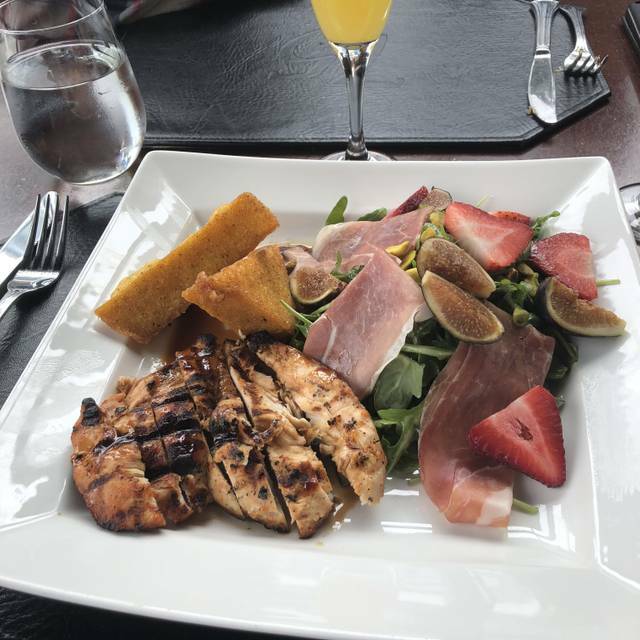 75 was a great place for 10 of us to enjoy a Saturday brunch. From the reservations to the service provided the staff was fantastic. A group of 10 can strain servers patience for sure but we got a warm welcome and great service. As is true of all of the 75@ locations the menu was wide ranging enough that everyone finds something to suit their taste. For the city, the prices are modest. January may have been a better time to get a relaxed afternoon of chat and harbor view than the busy scene of the summer season. Parking was easy with valet or on street options. Fabulous service & good was lovely! Very nice place, however appetizers very over priced for the quantity of them. We ordered calamari and was very disappointed. We barely received any calamari mostly the peppers and it cost 15 dollars... Rip off. This is the third time I have eaten at 75 on Liberty Wharf and once again I was very pleased with the food, wine, service, and ambience. One of my favorite places to eat. - both lunch and dinner. Salmon and chowder was excellent seafood stew laced in flavor. We could not hear our dinner guests over the ambient music (Christian holiday muzak). Several requests to turn down the music, each of which garnered almost a minute of relief. In the end, we left early because we could not bear it any more. Upon entering, the restaurant had an over the top cleaning smell, like Lysol or febreeze. We ordered a seafood stew for lunch, mussels were awful, had to spit the whole thing of, destroyed the rest of the meal. Fish was a bit overcooked. Best part of the meal was the bread we asked for. great food and great service. will go there again!